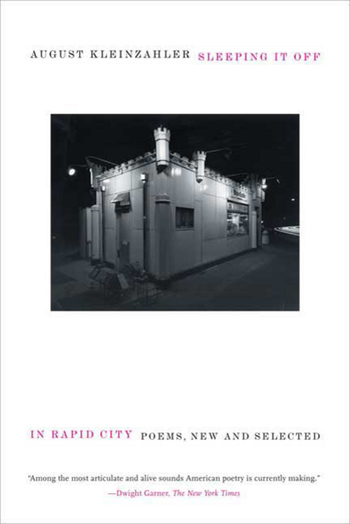 The first broad retrospective of August Kleinzahler's career, Sleeping It Ofƒ in Rapid City gathers poems from his major works along with a rich portion of new poems that visit different voice registers, experiment with form and length, and confirm Kleinzahler as among the most inventive and brilliant poets of our time. Travel—actual and imaginary—remains a passion and inspiration, and in these pages the poet also finds "This sanctified ground / Here, yes, here / The dead solid center of the universe / At the heartof the heart of America." August Kleinzahler was born in Jersey City in 1949. He is the author of ten books of poems and a memoir, Cutty, One Rock. His most recent book of poetry, The Strange Hours Travelers Keep, was awarded the 2004 Griffin Poetry Prize. He lives in San Francisco.